There is, quite rightly, controversy about the proposed site: that of the current Musem of London, a site of which Jonathan Rose writes: “One has to wonder, if their proposed site is seen as having failed the Museum of London, then why would it not fail as a music venue?” Despite attempts to dress it up, since the war the Barbican has been known as an unredeemably dreary and blighted area of London, and a counter proposal has been presented by a rival group, led by Jonathan Rose, director of the New Queen’s Hall Orchestra, of a hall on the north bank of the Thames, opposite Tate Modern. This proposal does not seem to have any more merit than the original one, and the uninspiring mock up does not promise to improve the view of Blackfriars from the south bank. And so it will continue as more and more people who rarely go to concerts add their opinions. Herbert von Karajan would never have got the Berlin Philharmonie or the Salzburg Festspielhaus built as he wanted, had he had his hands tied in this way — to say nothing of Wagner’s unique achievement that is his monument in Bayreuth. I have a suggestion that is probably not original, but it deserves more exposure: reconstruct the old Queen’s Hall. 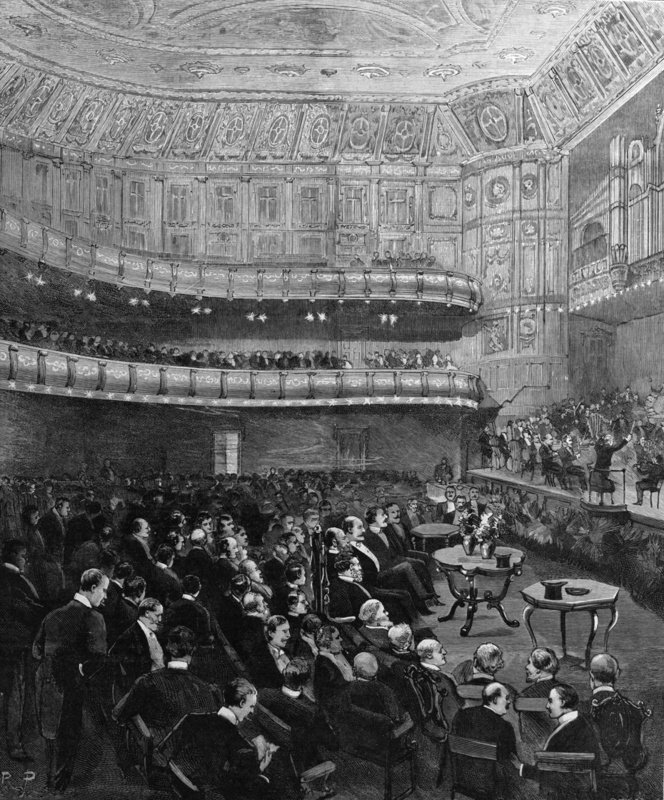 This magnificent hall was destroyed during the war and the site where it used to stand has long been re-used. But if a new site were found, with easy public access, such a project could fire the imagination of the public and the phoenix could rise again. Wikipedia has an excellent article on the Queens Hall. It held nearly 2,500 listeners — which might today be reduced to 2,000 to give more leg room. 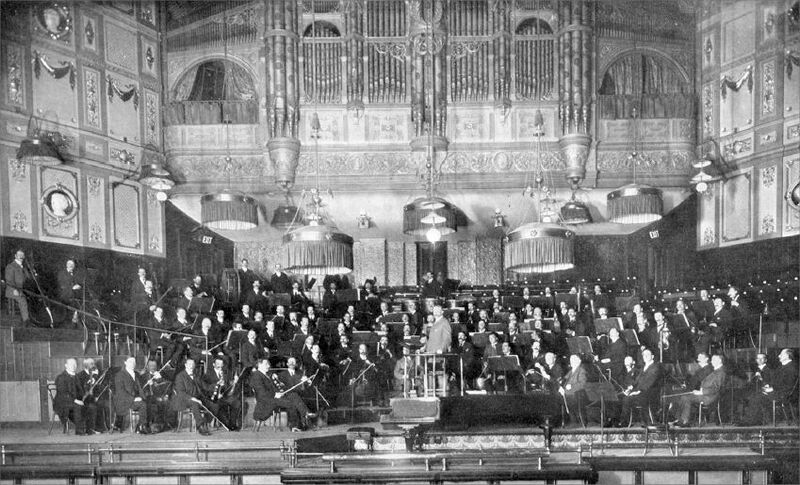 Interesting features were that the stalls were below street level, the building materials were Portland Stone, brick and wood, the orchestra was ranged on stage at different levels so that each instrument could speak directly to the audience, and could be seen easily by them and, most importantly, nobody ever complained about the acoustics.